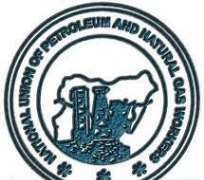 The Nigeria Union of Petroleum and Natural Gas Workers (NUPENG) on Tuesday urged Federal and Lagos State Governments to check the excesses of security personnel controlling trucks loading at the Apapa Port. Mr Tayo Aboyeji, the NUPENG’s Chairman Lagos Zonal Council, made the appeal in an interview with the journalists in Lagos. Aboyeji also appealed to the Lagos State Government to urgently disband the task force and allow the Lagos State Traffic Management Authority (LASTMA) personnel and the police to do their jobs. He alleged that the security personnel attached to the task force controlling trucks loading at the Apapa were in the habit of extorting and brutalising the tanker drivers. The NUPENG’s chairman also said that activities of the security personnel posed serious threats to the truck drivers, adding that this had impeded loading of oil and free flow of traffic. According to him, activities of the security personnel are the major challenges facing tanker drivers. “We want activities of the security personnel to be checked; they are not trained to be controlling traffic. Their activities are affecting our operations. “Two members of our union (NUPENG) were hospitalised on Monday. We don’t want more people to die due to their extortions and illegal operations. We want them to be withdrawn from the roads. “In fact, the gridlock in Apapa area was caused by the excesses of the security personnel who will not allow our members to pass without paying them. “Those that were unable to meet their demands faced stringent punishment and harassment,’’ Aboyeji alleged. He, however, appealed to the Lagos State Government to urgently disband the task force and allow the Lagos State Traffic Management Authority (LASTMA) personnel and the police to do their jobs. Aboyeji urged the Nigerian Ports Authority (NPA) to decentralise port operations to other locations to decongest Apapa Ports and end gridlocks in the area. He appealed to the management of NPA to develop other ports like Calabar, Warri, Port Harcourt and others, to reduce business concentration at Apapa port. According to him, the management of NPA should extend ports infrastructure to accommodate incoming trucks, saying that they were blocking other road users. “They can also create another port in Epe and Badagry to decongest the one in Apapa. “The problem of NPA is over-concentration of activities in Lagos due to the concession of some parts of the port to private owners. “NPA should also look for parking place for the containers outside Apapa to ease traffic, just as we did to trucks loading petroleum,’’ he said.